ONE OF A KIND WATER FRONT PROPERTY ON STOCKBRIDGE BOWL. This 3.9 acre property is cleared, open and level, with 400 feet of stunning water frontage, it's the perfect place for your dream home in the Berkshires. This property is open, yet private to neighbors with a mature tree line. 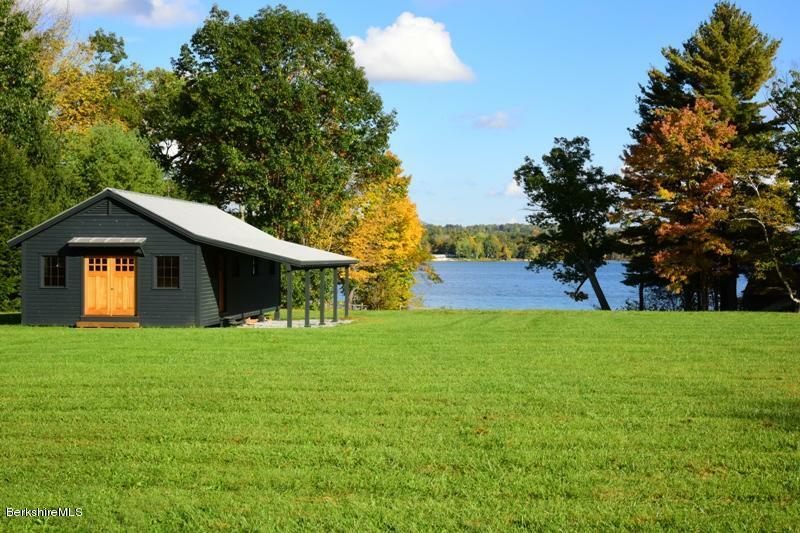 Perfectly situated near the water is a stunning new boathouse with custom barn doors opening on both sides making storing yours sculls, kayaks and canoes a breeze. With Tanglewood less than a mile away, the best of the Berkshires is right in your backyard.